Creative director of Hermès, Pierre-Alexis Dumas, runs the most respected, world-renowned luxury brand around and as the sixth-generation descendant of the company’s founder he knows that the power of Hermès in the luxury industry. Bernard Arnault, 62-year-old French businessman who runs Moët Hennessey Louis Vuitton, agrees with Dumas and knowing this power, he hopes to acquire more than Dumas and other executives at Hermès are comfortable with. 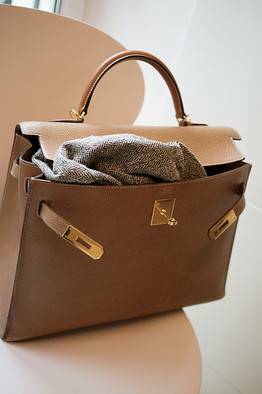 Hermès is one of the few companies that still invest in artisans in France to sew each of its famous Kellys and Birkins, one by one, by hand while others still use assembly-line production coming from China. Hermès famous scarfs are woven in Lyon from silk raised on its farm in the mountains of Brazil and Hermès has an in-house nose who concocts each new perfume in his lab in his home near Grasse, the world’ perfume capital in the South of France. The attention to detail and dedication to quality is what has catapulted and maintained Hermès’ place at the top of the luxury market. Last year, sales rose 25.5 percent to approximately $3.41 billion over 2009. During the economic crisis, when many big brands took a beating and several went bankrupt, Hermès posted not only an increase but a substantial one with sales up 8.6 percent in 2008 and 8.5 percent in 2009. Hermès’ main leather workshop is located in the Paris suburb of Pantin where approximately 340 artisans handcraft leather goods, the same way it has been done at Hermès for nearly a century. To make, for example the Hermès Kelly bag, each artisan is given all the pieces he needs to build the handbag from beginning to end, including zippers, locks, hardware, lining and leather string for piping. They work on three or four at a time – same model, same color – and all are made by hand, inside out; only the zipper and the inside pocket are sewed by machine. When hand-sewing, the artisans use a classic saddle stitch that has been used at Hermès since the 19th century. Hermès was founded in 1837 by French harness maker Thierry Hermès. In the late 1980s, Arnault had a long drawn-out boardroom battle with the Vuitton family for control of LVMH. Arnault eventually won but after witnessing the drama, Dumas made two moves to protect Hermès from a similar takeover attempt by a nonfamily member. 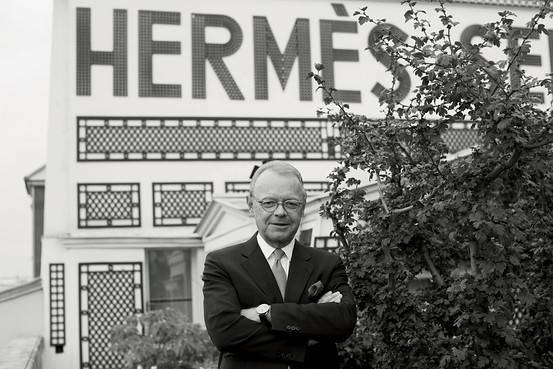 In 1989 Dumas created a partner company called Émile Hermès SARL to represent the family shareholders that would essentially be responsible for hiring management and deciding company strategy. Next, in 1993, Dumas listed 20 percent of Hermès on the French stock market, eventually listing about 8 percent more, which had no management power and ended up being the shares that LVMH purchased. LVMH insisted that it has “no intention of launching a tender offer, taking control of Hermès, nor seeking board representation” and Arnault described his move as friendly. Hermès executives remain skeptical and have reportedly branded Arnault as an unwanted aggressor. The French regulatory authority (AMF) has apparently been looking into how LVMH clandestinely accumulated such a large stake in Hermès because in France a company must state when it crosses a 5 percent threshold. Despite the investigation, LVMH remains confident of the outcome. In response to LVMH’s alleged interest in Hermès, the Hermès family has place 51 percent of the 72 percent of their stake in a holding company that cannot be sold to outsiders. Following that move, a lawsuit was filed questioning the legality of Hermès’ new holding company and the French court of appeals is expected to announce its decision on the case on September 15. Hermès is confident that creating a holding company is legal and was approved by the AMF.